As consumers, our dollars give us a voice: we can truly make a difference by consciously choosing where we spend money. What we may not realize is that we indirectly employ companies through our purchases, for better or worse. We can change lives by being concerned consumers and putting our money toward companies working to improve the world. Donating to causes is a wonderful and quick way to help and, in some situations, is one of the best ways to make a difference in the world. But when the chaos of a natural disaster passes, how do you help? Well, you can donate money or time. But you can also help by shopping – yes, SHOPPING! Being a loyal customer of designers and musicians who help people in developing nations and those hit by disaster is a fabulous long term way to help employ and educate those in need. Here are two causes, championed by two well-known individuals, that you can support simply by shopping. We will be featuring more examples of fashion for a cause over the coming weeks. While the name Wyclef Jean might not register right away, his music certainly will. Remember the Fugees? Dancing to Shakira’s “Hips Don’t Lie”? Wyclef, a former member of the Fugees, is the Grammy winning Haitian musician featured on that chart-topping song. Not only does Wyclef write music we all love to dance to, but he is a loyal philanthropist and diplomat to his native country of Haiti which was recently struck by a devastating earthquake. Wyclef personally delivers help through his organization Yele Haiti and is currently in Haiti with Anderson Cooper to report live from the scene and deliver updates on his blog and twitter. Rachel Roy is known for her beautiful designs, big smile, and even bigger heart. 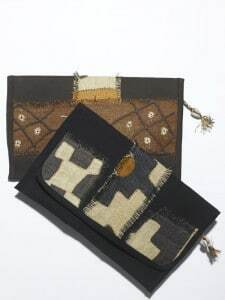 This spring she is launching a special addition to her Rachel line, handcrafted accessories straight from Africa! By working closely with Fair Winds Trading, Rachel Roy is aiming to help employ women in Rwanda, giving them a reliable source of income so they can provide for their families. Rachel is also raising money to provide clean water to people in developing nations. Instead of celebrating her 36th birthday with a huge party and gifts, she is asking for donations to put toward the cause. Rachel Roy is a designer to keep your eye on! Help her bring clean water to developing nations, buy her amazing clothes, and be on the look out for her big accessory launch. You can also stay up to date with her on Twitter and Facebook. What about you? Will you be a concerned consumer? I would love to hear your feedback on this issue. Do you plan to donate to help the relief effort in Haiti or buy Rachel Roy clothing? Are you a new or old fan of Wyclef Jean? Most importantly, if you are a fan of either of these great artists, tell them so! Also, if you know of any other designers or artists that donate proceeds from their products to a cause, let us know. We may feature them here in the future. If your student organization would like to help Wyclef and Yele Haiti, contact Nate Erickson at [email protected] or visit Yele.org. 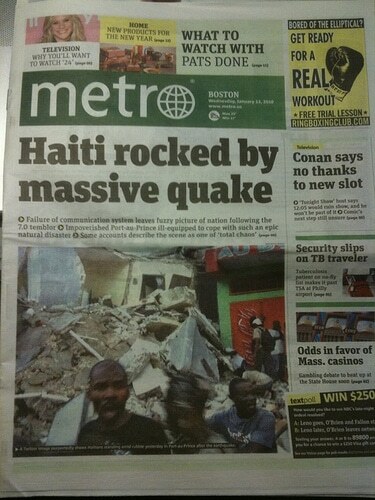 For more info on helping support disaster relief in Haiti, also see Google’s Crisis Response page.